Calculations are conducted in accordance with the recommendations of the Eurocode 7 (EN 1997-1) with possibility to consider national annexes for the following countries Bulgaria, Denmark, Finland, France, Poland, United Kingdom. 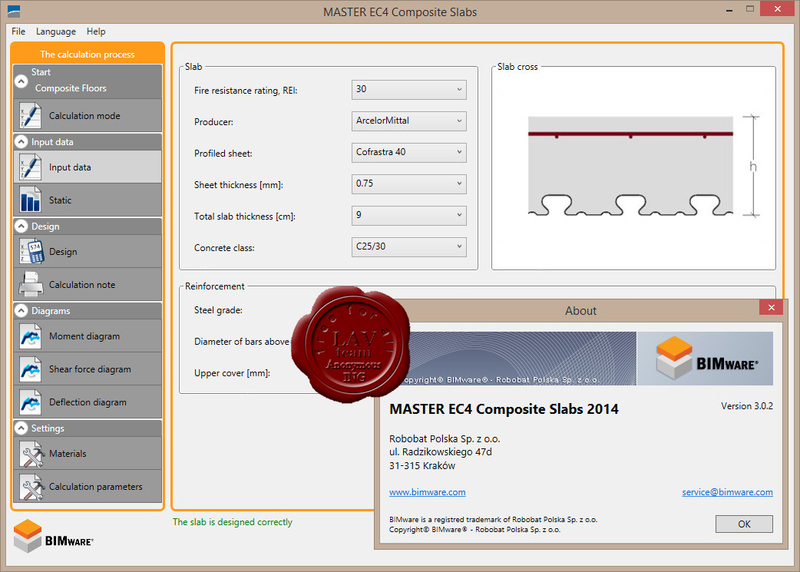 MASTER EC4 Composite Slabs is used for verification of ultimate (ULS) and serviceability (SLS) limit states of the profiled steel sheet that works as a formwork (construction phase) and the composite slab (service (composite) phase). 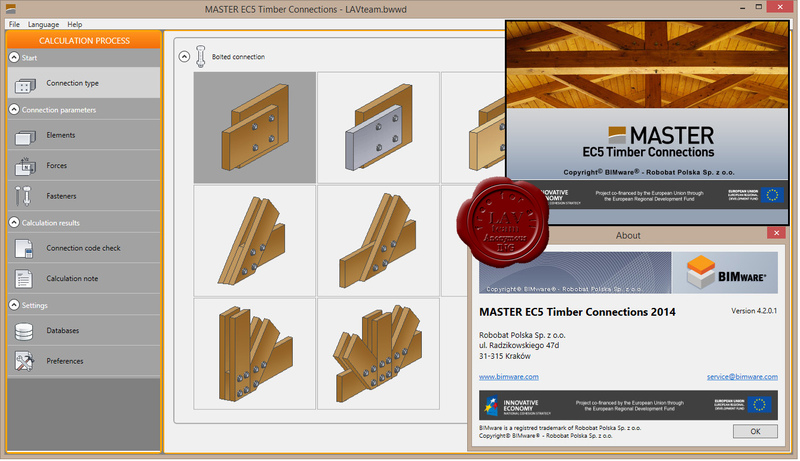 BIMware MASTER EC5 Timber Connections is designed for verification of load-carrying capacity of bolted splice connections for timber, wood-based and steel elements. 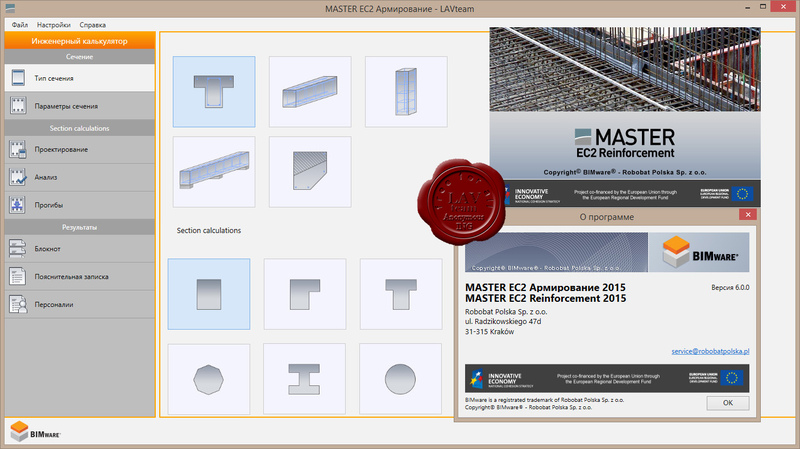 BIMware MASTER EC3 Steel Connections is used to design and verify the capacity of typical connections used in steel structures.The verification is performed according to the Eurocode 3. 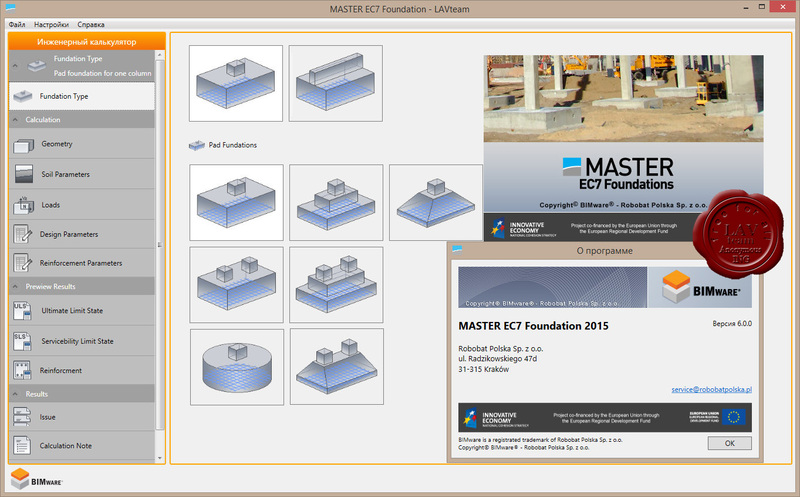 BIMware MASTER EC2 Reinforcement is dedicated to performing calculations for the necessary reinforcement areas or maximum capacities of concrete sections and RC elements.